The Audio-Technica Pro 88W is a cost effective VHF wireless microphone system intended for video application. 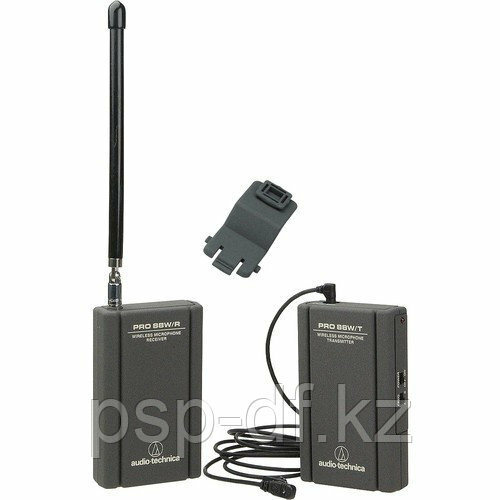 The system includes a belt-pack transmitter, camera mountable receiver and MT830mW omni-directional lavalier microphone. The receiver features 2 user selectable VHF frequencies for added flexibility when experiencing RF interference.